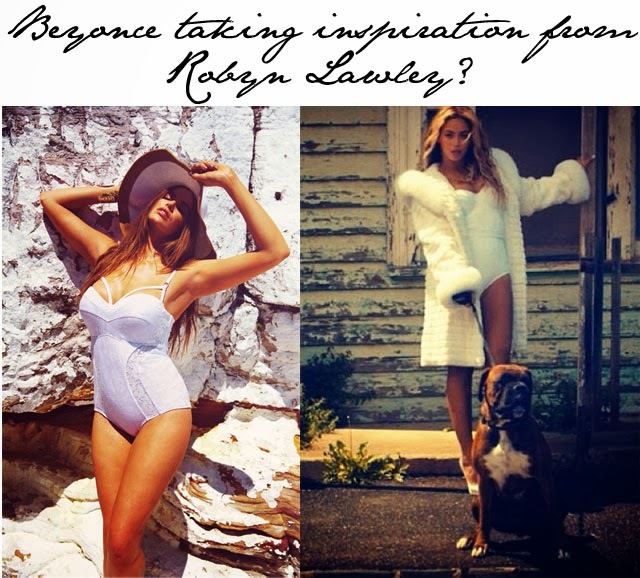 Beyonce inspired by Plus sized model Robyn Lawley's bathing suit in recent video? One of our favourite models on the scene at the moment is Robyn Lawley. This plus-sized model is killing it out there, folks, and changing all kinds of ways in which the world views the fashion industry. Props to her for that alone. Well, she's got another notch to add to the belt today as she announced on instagram that Beyonce wore one of the her original swimsuit designs in her latest video release- No Angel. Looking fierce in a white suit, massive heels and a big old fur coat, Beyonce's look is just another endorsement for the beautiful Australian model, whether it is her actual design or not. Inspired by is good enough for us. UPDATE: We updated the above, removing any reference to Robyn Lawley as the actual designer as this has yet to be confirmed by Beyonce's peeps.